This unique design of the jumbo mesh grill basket enables you to use it as a skillet, a deep basket, or a mesh grill basket with a lid if you want to shake things up a bit. 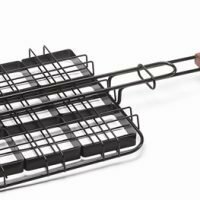 The handles are removable so that you can grill with the lid closed when imparting smoke into your foods…and of course for minimal storage! 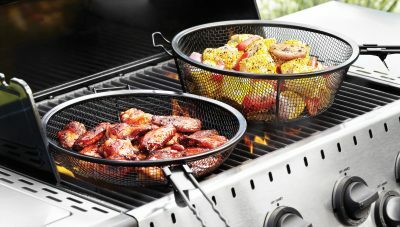 And if that wasn’t enough the basket’s non-stick PTFE/PFOA free coating makes for quick and easy clean up. 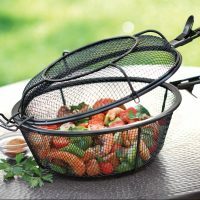 When it comes to grill shaker baskets you can not beat a wire mesh grill basket. 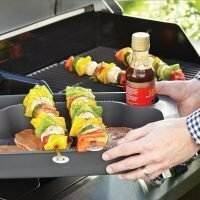 The holes are so small you can grill just about anything in them without it falling out. You could even grill diced onions adding that great grilled flavor. 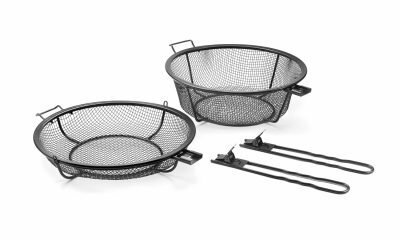 This 3 in 1 wire mesh grill basket can be used in 3 different configurations. 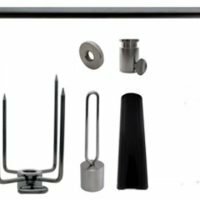 You can use it as a large shaker basket using all the pieces. 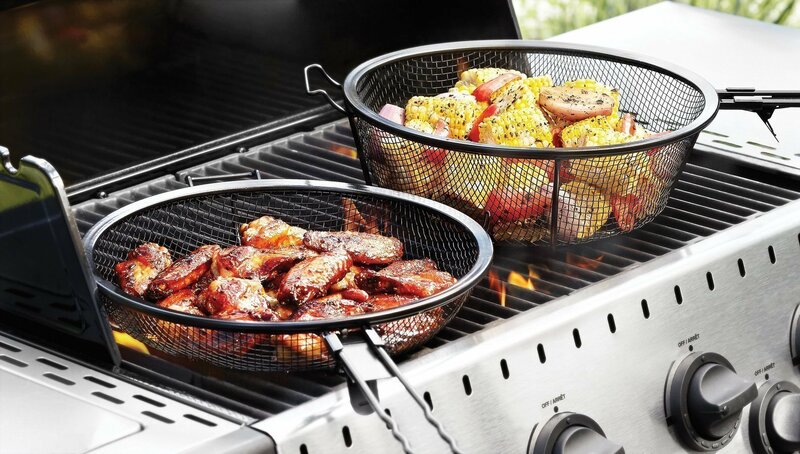 Or the large bottom section by itself as a grilling wok or bowl or use the top by itself as a grill skillet. 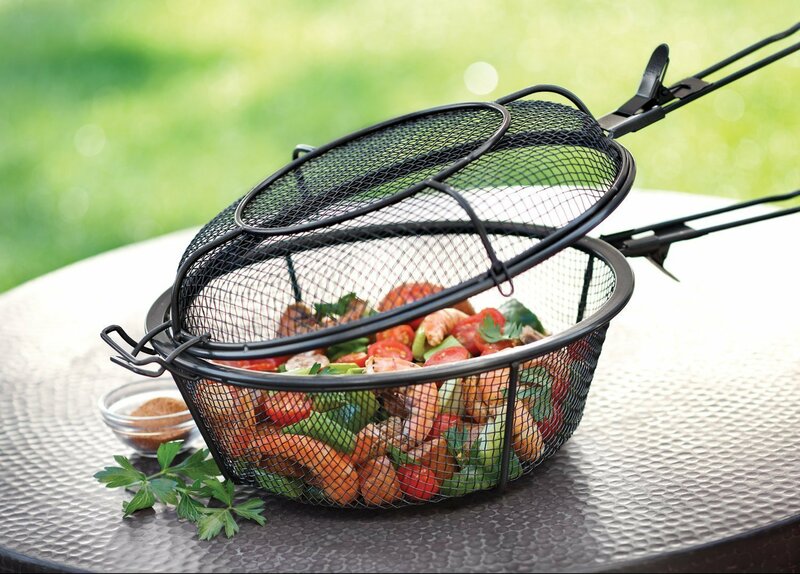 This is truly a multi functional grill basket. 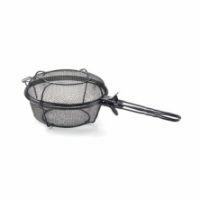 This basket is fairly large at almost 12 inches on diameter so while it is great for cooking entire meals it may not be for everyone. 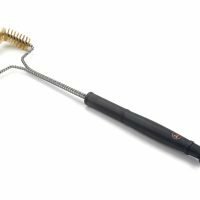 It will take up a large portion of your grilling surface especially on a smaller grill. 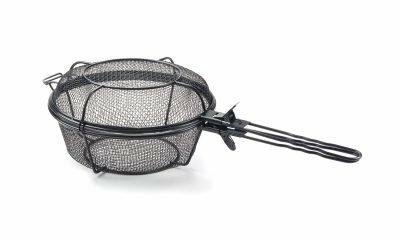 When assembled as a shaker basket it also stands higher than most other types of baskets. This may necessitate the removal of your grills upper rack.